SAN DIEGO — Anglers — and want-to-be anglers — can immerse themselves in all things sportfishing at the Port of San Diego’s 34th annual Day at the Docks, April 21. The free event boasts fishing gear galore, along with seminars and activities for the whole family to enjoy. 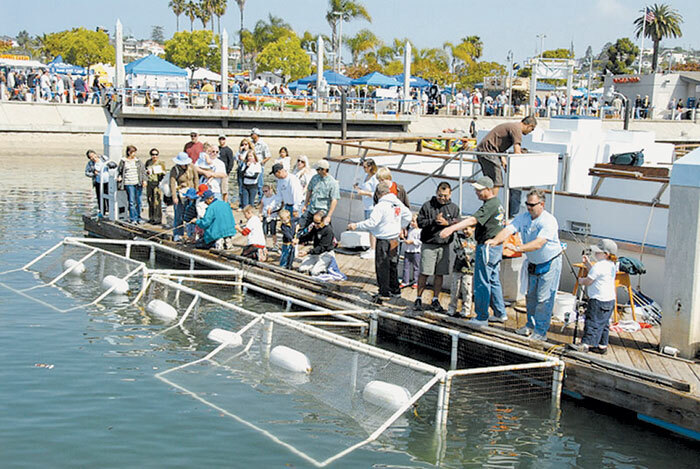 Held at the San Diego Sportfishing Landings in Point Loma, the day signifies the official start of Southern California’s spring saltwater fishing season. The event’s theme is “It’s all about fishing, and so much more!” announced Catherine Miller, event director. Festival-goers can spend the day touring modern sportfishing boats in the San Diego fleet, Coast Guard and San Diego Harbor Police vessels, and other boats — and they can learn about the latest tackle and gear, along with how-to secrets from top fishing experts. Seminar and attraction schedules will be posted online prior to the event. Chefs will be at the festival, demonstrating how to best prepare and cook your catch at the Catch, Prep and Cook Center. Presentations will be held throughout the day. Live entertainment, food vendors, a raffle and numerous contests are also scheduled during the free event. Kids Fishing Adventure areas will give young anglers a chance to wet a line and catch a fish, with assistance from members of the San Diego Rod and Reel Club and San Diego Anglers. Children between ages 4 and 12 can participate in the fun activity from 9 a.m. to 4 p.m.
A casting contest for pros and novices alike is set for 11 a.m. and 2 p.m. Winners will receive fishing trips and tackle prizes. Free parking and free round-trip shuttle service to and from the festival is offered from 8:30 a.m. to 5:30 p.m.
For a complete schedule of Port of San Diego’s Day at the Docks activities, visit sportfishing.org.